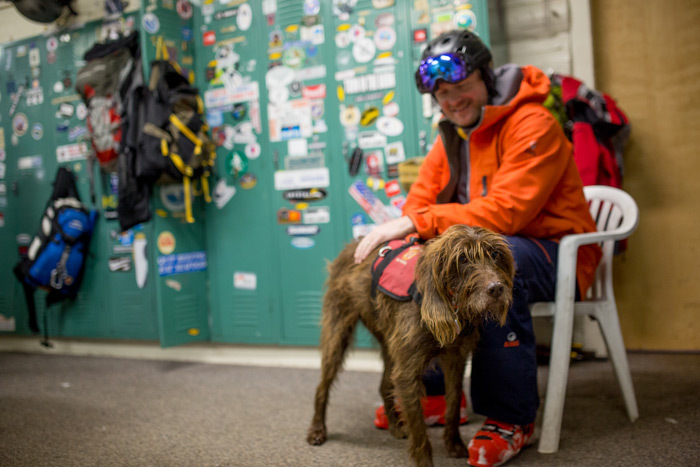 Every morning the men, women, and canines of the Sun Valley Ski Patrol make the pre-dawn journey to the top of Baldy to prepare the mountain for the day’s operations. 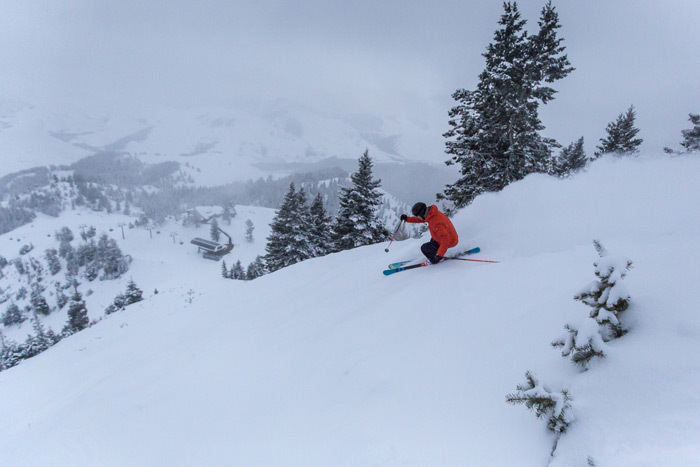 With Sun Valley’s Ski Patrol 101 program, you can be right along side them, watching the orange glow on the horizon grow into a magnificent sunrise, or perhaps scoring fresh tracks on a storm day, all while learning about what it takes to patrol and maintain this legendary mountain. 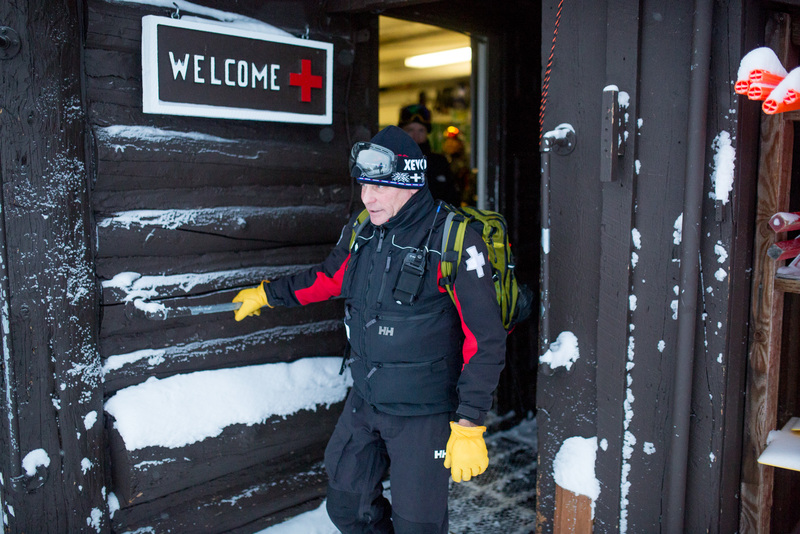 The sign-up for Ski Patrol 101 takes place in the River Run Lodge throughout the season. Every Saturday two lucky people are selected to meet up with Sun Valley Ski Patroller David Schames at the base of River Run around 7:00am. 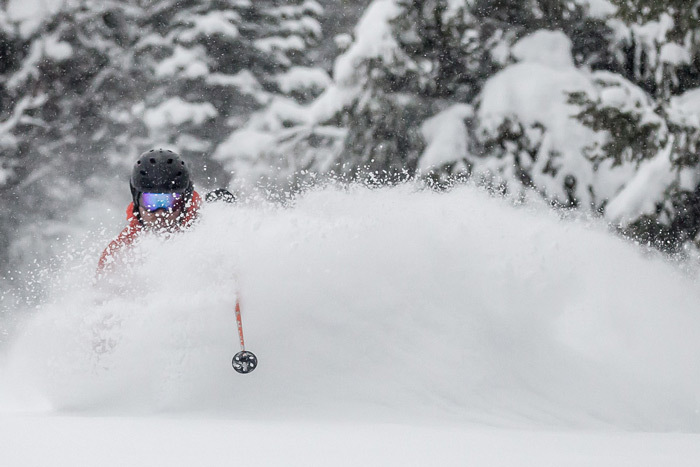 David has been on the patrol for over eight years and gives an insightful look at the Sun Valley Ski Patrol. After the early morning chairlift ride to patrol HQ, you and the 25 or so on-duty patrollers file into the cabin to sign up for the day’s duties, conduct weather and safety meetings and discuss any issues brought forward by the overnight snowmaking and grooming crews. The mood inside the patrol shack is full of laughter and good energy. Despite the early morning hour and the serious task at hand of patrolling a major ski resort, the patrol knows how to keep the mood light, and it is this camaraderie that shines through to everyone that sets foot in this rustic building. 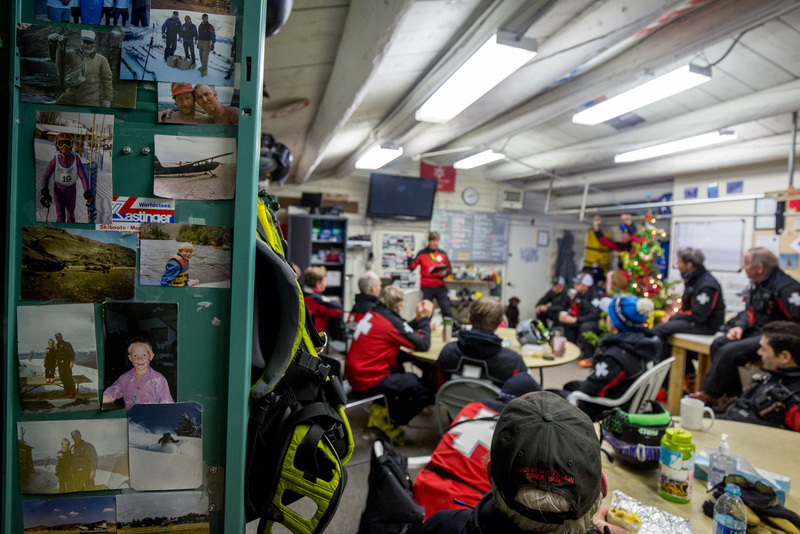 As a student of Ski Patrol 101, you are able to tap into this vibe and feel the support in the room, knowing every person in here has your back. There are five fully trained avalanche dogs also on staff, and on any given day two to three of them will be onsite adding to the positive atmosphere during the morning meetings. Once the meeting is adjourned, the patrollers head out to their pre-assigned zones to mitigate hazards on the mountain by putting up signage, adjusting rope boundaries, and checking the runs making sure they are ready for the pubic. Safety is always the top priority with the Sun Valley Ski Patrol and once you get a glimpse of this crew in action you realize that all skiers and riders on Baldy are in very capable hands. Following patroller Schames down the mountain, there is a sense of purpose with each turn. You are not just gliding along perfect corduroy for the fun of it (really you are), but you are skiing this run because a sign needs to be hung or a rope needs to be dropped. Skiing the mountain this early with only a couple dozen other people adds a surreal effect to the morning, changing your perception of this familiar playground.